Why it matters: It’s one of the most significant developments showing how corporations are working with other world leaders on climate change amid President Trump’s whole-scale retreat on the issue. Situational awareness: One year ago today, Trump announced his intention to withdraw America from the Paris climate deal, which now has support from every country except the United States. Three years ago, Pope Francis wrote his encyclical — a papal letter sent to all bishops of the Roman Catholic Church — on the importance of addressing climate change, a first in the church’s history. Larry Fink, CEO of BlackRock, world’s largest asset manager. Bob Dudley, CEO of BP. Darren Woods, CEO of ExxonMobil. Eldar Sætre, CEO of Equinor, oil and energy producer partially owned by the Norwegian government (formerly Statoil). Ernest Moniz, former U.S. Energy Secretary under then-President Obama. Lord John Browne, former CEO of BP and current executive chairman of L1 Energy, an oil and gas investment firm. Ben Van Beurden, CEO of Royal Dutch Shell, was invited but declined because he had an obligation elsewhere, according to an official. The big picture: The Pope, BlackRock and big oil companies are increasingly focusing on climate change as cleaner sources of energy have become more competitive, the impacts of a warmer world have become more apparent, and public pressure to address the issue mounts. This meeting reflects this convergence. The details: The focus of the gathering is similar to the encyclical (“On Care For Our Common Home”) with an emphasis on the energy transition of a “shared home,” according to people familiar with it. The event is occurring late next week, with two people saying the Pope is likely to talk Saturday. The University of Notre Dame is helping convene it. Leo Burke, director of its business school’s climate investing initiative, declined to comment. “All along the way, we have said that any energy-related meeting involving the Vatican and Notre Dame would be a private dialogue among the attendees,” Burke told me by email. Yes, but: While it’s a significant meeting, it’s still just a meeting. Deep political stalemate persists in the United States on the issue. Tensions are flaring over lawsuits alleging big oil companies are liable for climate change and some environmentalists say the industry’s greener moves aren’t big or fast enough. 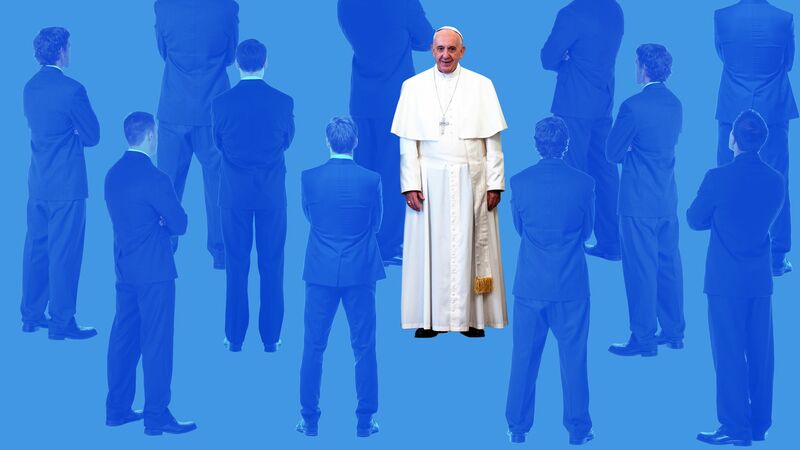 To what degree the Vatican gathering prompts change and new developments is a big question mark. An Exxon spokesman said the company is "hopeful that this kind of dialogue can help develop solutions to the dual challenge of managing the risks of climate change while meeting growing demand for energy, which is critical to alleviating poverty and raising living standards in the developing world." A spokesman for Moniz confirmed his attendance. A BlackRock spokesperson declined to comment. A spokesperson for Equinor said the company looks forward to the "opportunity to discuss how we can address climate change and opportunities in the energy transition." A spokesperson for Browne didn't return a request for comment. Efforts to reach the Vatican by phone and email were unsuccessful. Editor's note: This has been updated confirming additional companies' participation or invitation.